Here's the Carzone.ie used guide to the BMW 3 Series. 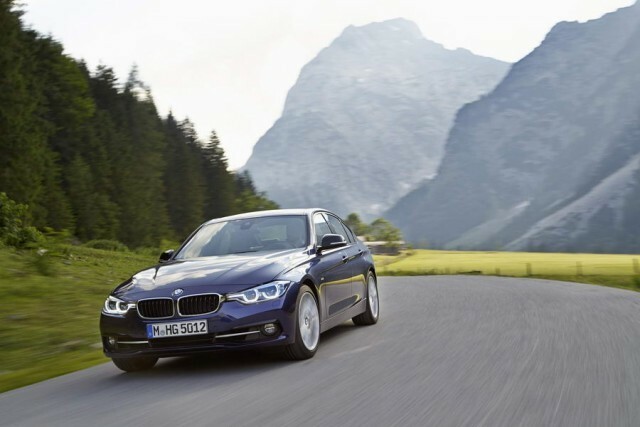 The sixth-generation BMW 3 Series was launched in 2012 and will be replaced by an all-new one later in 2018. The 3 Series is BMW's most important model, which is why the German company invests heavily in its development. That has paid off handsomely, as this car replaced one that was still considered to be near the top of its class. As this model now nears retirement, it's still a strong contender, which makes a second-hand example more than a little tempting. Direct rivals include the Audi A4, Mercedes C-Class, Lexus IS, Jaguar XE and perhaps the Volkswagen CC, too. BMW offered the 3 Series in a dizzying array of models, though now at least the body styles are restricted to Touring estate, Gran Turismo (GT) hatchback and, of course, the best-selling variant, the four-door saloon, as the Coupes and Convertibles are badged 4 Series. Nonetheless, the 3 Series could be fitted with a wide range of petrol, diesel and even hybrid powertrains. Most are rear-wheel drive, but xDrive four-wheel drive was offered with some engines. By far the most common in the classifieds are powered by one of BMW's 2.0-litre four-cylinder turbodiesel engines, found in the 316d, 318d and 320d, though money-no-object, the six-cylinder diesel variants are fabulous sports saloons. In terms of trim levels, it runs SE, Sport, Luxury and M Sport for the most part and automatic transmissions are quite common. A wise investment, given the way legislation is going, might be the plug-in hybrid BMW 330e, but it was only introduced in 2016, so there aren't many of them on the market. If you're a low-mileage driver, then seek out a petrol-fuelled 320i or, if you spend a lot of time on the motorway, stick with the economical 318d. It's not quite as powerful as a 320d, but it has ample performance and good economy. The BMW 3 Series will suit a buyer that cares as much about image as they do practicalities, as it's smaller inside and in the boot than equivalent cars from mass-market brands. However, the 3 Series, with its rear-drive chassis, feels like a step up from those, and it's genuinely great to drive when away from the beaten track. Choose your engine carefully though, as the diesels won't suit a low-mileage household.